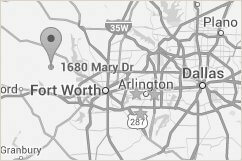 Unique Wedding Venues in Texas - Why Choose Hollow Hill? Hollow Hill is considered one of the most beautiful wedding and reception venues in Texas and it’s easy to see why. The event center offers many unique features, starting with the timber-frame front entrance which opens into the Great Room, a grand space with open hammer-beam trusses, designed and built by master craftsman David A. Gechter. There are several sites that can be used for either indoor or outdoor ceremonies. These include the open-air Pavilion, Heart Arbor, Pecan Grove – and the large elegantly rustic Barn. Dressing areas are provided for both the Bride (Hen House) and the Groom (Bunkhouse). All indoor areas are climate controlled. The beautiful wedding & reception venue is set in the midst of 80 acres of wide open spaces. Other special features of the beautiful wedding & reception venue include the Fire-Pit, watched over by original metal art pieces created by North Carolina artist Julia C. Burr. Much of the materials Hollow Hill uses has been and will be recycled and repurposed. The wood for the walls in the Bunkhouse came from standing dead trees on the property. A lot of native plants - plants that are heat-tolerant and drought-resistant as well as colorful and attractive - are used throughout the stunning landscape to conserve water and preserve Texas’ natural beauty. Used or leftover timber from construction projects and old barn boards have been transformed into lovely furniture pieces, signs, art, and more. Because of the environmentally friendly nature of Hollow Hill, eco-friendly/green weddings and events can be hosted without compromise. Hollow Hill is owned and run by a close-knit family, who in turn use local artists and crafters for unique touches and finishing details in the venue. The beautiful wedding and reception facility has been honored with two very special awards - The Knot Best of Weddings 2015, 2016, 2017, 2018 and WeddingWire’s Couples’ Choice Award for Best Wedding Venue in 2015, 2016, 2017 and 2018. Hollow Hill consistently wins high ratings and praise from guest reviews. We're a 5-star wedding venue with ratings on Yelp, TheKnot.com, WeddingWire, and other review sites. Since its beginning, Hollow Hill has maintained high marks in Quality of Service, Responsiveness, and Professionalism. Hollow Hill is constantly evolving, constantly building. While the beautiful wedding and reception facilities are already stunning, there are numerous projects planned that will continue to showcase the attention to detail Hollow Hill has become known for. People who attend an event at Hollow Hill will want to use the facilities for future events so they can keep on coming back to enjoy new features of the Texas paradise. is inherent in Hollow Hill...schedule a tour today!